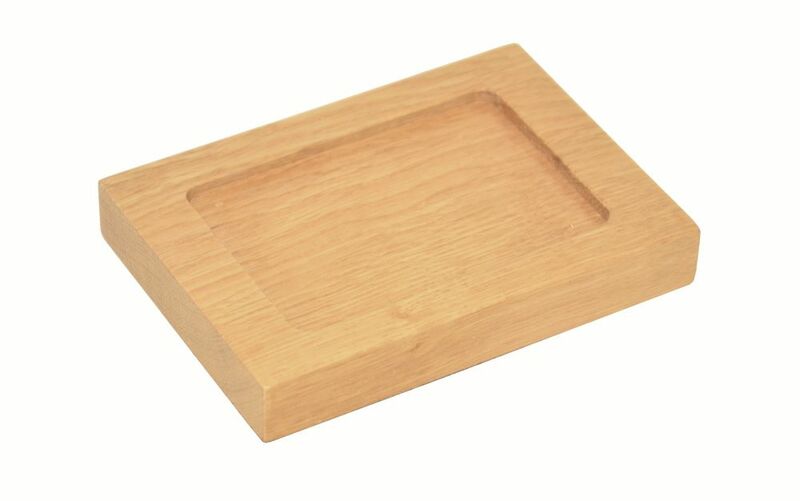 Made from solid oak or dark-stained solid oak, with a water repellent finish this soap dish gives you that boutique hotel bathroom look or works as a nice addition in a classic oak kitchen. A clever rebate stops soap from sliding off and gives this design a contemporary look. The silicone feet allow the base to stay dry and the top is easily cleaned with warm water and a damp cloth. Design by Lincoln Rivers.